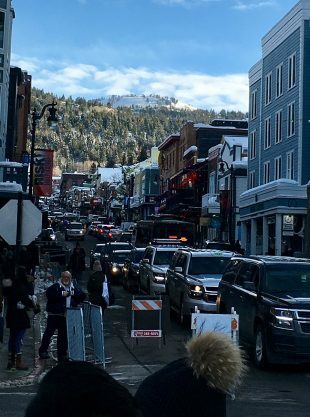 Park City buzzes with excitement as swarms of film enthusiasts, actors, agents, directors, writers and press descend on the city’s historic Main Street for the Sundance Film Festival. Foot traffic spills off the sidewalks, while crossing guards and police herd people away from the street. The festival may be a welcomed annual change for Park City as a town, but some local businesses are less enthusiastic about the festival’s presence on Main Street. “Business has been pretty dead,” says Enrique Sanchez, an employee at North Face on Main Street. With tens of thousands of visitors in Park City alone, refreshments and lodging establishments see a noticeable uptick in business, notes Sanchez. Walking up and down Main Street, the disparity is noticeable. While stores selling apparel and other goods remain quiet, establishments like Flanagan’s Restaurant and Pub or the ATTICUS Coffee Books and Teahouse are so full there’s no room to comfortably sit or audibly engage in conversation. 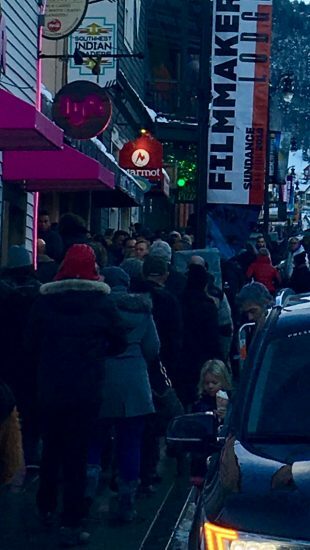 According to Sanchez, attorneys working for Sundance have also been scouring Main Street for businesses promoting the festival who aren’t officially connected to it. “A lawyer came in the other day and demanded that we remove our Sundance flyers immediately,” says Sanchez. Sanchez also adds that the attorney stated he would not leave until all Sundance material was removed from the store. A local Park City man, Carlos Arevalo, also echoes a distaste for the chaos the festival attracts. “Lines for lounges, theaters, and parties make it impossible to get into some of the businesses that aren’t connected to Sundance,” says Arevalo. Though the festival attracts people with plenty of disposable income, most of the visitors are only in Park City to party, celebrity stalk, and watch films, refusing to stray far from those activities, says Arevalo. Another thing to note, adds Arevalo, is how poorly galleries that don’t double as private party spaces do during the festival, with many of them struggling to sell even an item or two. While Sundance brings considerable energy, fanfare, and excitement to Park City, it’s evident that local businesses and people alike quickly grow tired of the ensuing chaos of the festival. However, with Sundance being an annual event likely to expand in coming years, Park City establishments have no choice but to weather the storm.